Rhodes College Study Abroad Program offers students a wide range of opportunities to spend time abroad. These programs will help enhance themselves, their resume via internships and teaching English, and even opportunities to do volunteer work! So, over 70% of Rhodes College students have an off-campus study abroad experience before they graduate. Rhodes College Study Abroad Program works with the Buckman Center of International Education to assist students in all aspects of getting abroad. 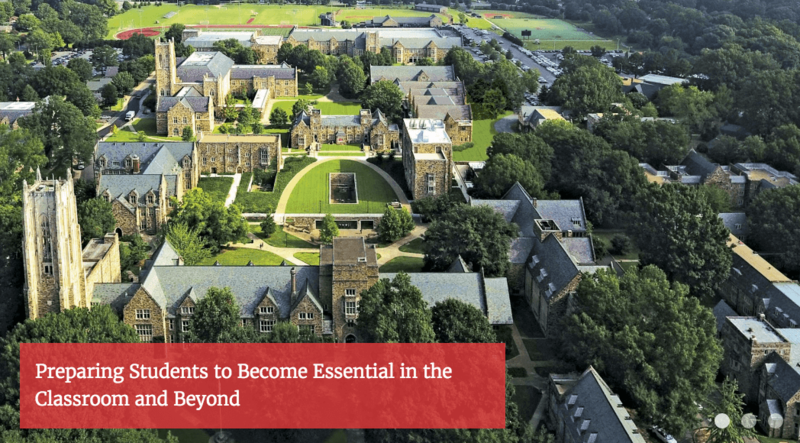 Hence, the Buckman Center for International Education spearheads the international and intercultural dimensions of the Rhodes College liberal arts education and offerings for their students abroad. Rhodes College’s ranked in the 2017 edition of Best Colleges is National Liberal Arts Colleges. Thus, the College offers standard study abroad programs such as summer and exchange programs as well as programs in a European Studies Program. The European Studies Program is a sixteen-week program that takes place during the mid summer through to early fall. So, the courses are offered jointly by Rhodes and The University of the South (Sewanee) in locations all throughout Europe. Above the many exciting programs that Rhodes College offers students, a unique aspect of their study abroad program is their encouragement to simply get students abroad. So, they are able to reach a larger audience by offering bonus programs that have the potential to catch the attention of many different types of students. Also, students who want to volunteer abroad, intern abroad, teach English abroad, or research abroad. SEA Semester at Woods Hole: Students conduct oceanographic research in international waters continuously throughout the year. RISE (DAAD): This program in Germany is for students who are interested in engineering. PIRE Summer Research Program in Europe: Located in various locations throughout Europe, PIRE is designed for science students. School for International Training (SIT): SIT provides opportunities for active learning and knowledge generation for the benefit of both students and host communities. EuroScholars: Select a research program of your choice in consultation with a project supervisor to find a match between your interests and the research project. Though this opportunity is through the Career Services at Rhodes College, as well as through the Buckman Center, there are many opportunities for students to intern abroad and add to their resume and work experience. The Rhodes College study abroad program has a great student run Tumblr. Students studying abroad post content here and it’s a great way to review some study abroad experiences. Furthermore, Rhodes College Study Abroad also has a microsite for visitors to obtain more information about their offerings. In regards to contacting the Rhodes College study abroad program, they advise completing an ‘Appointment Questionnaire’ on their website and emailing it to their office. The email address is internationalprograms@rhodes.edu.